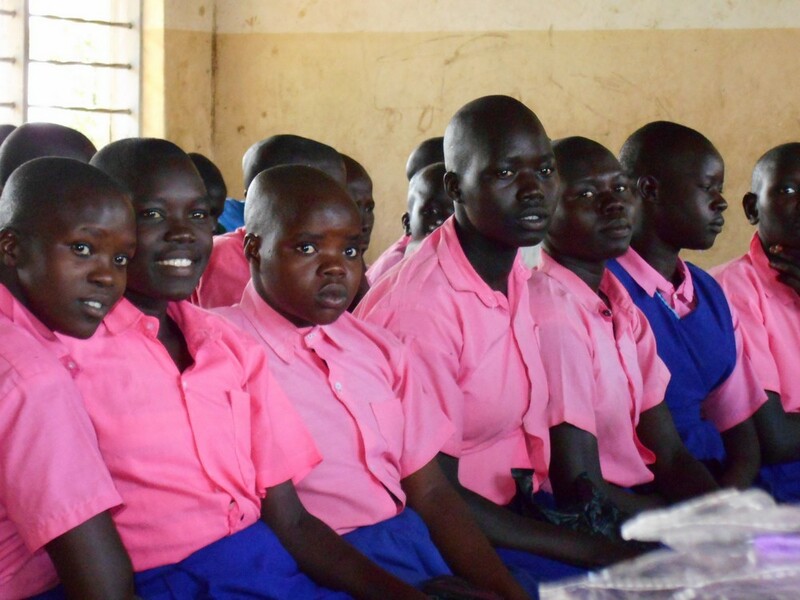 It is difficult for girls to receive education here in the North of Uganda. There is a very high drop out rate. One of the many factors, but an early and important one, is an inability to manage their periods while attending school. This means missing 4 or 5 days a month from school. 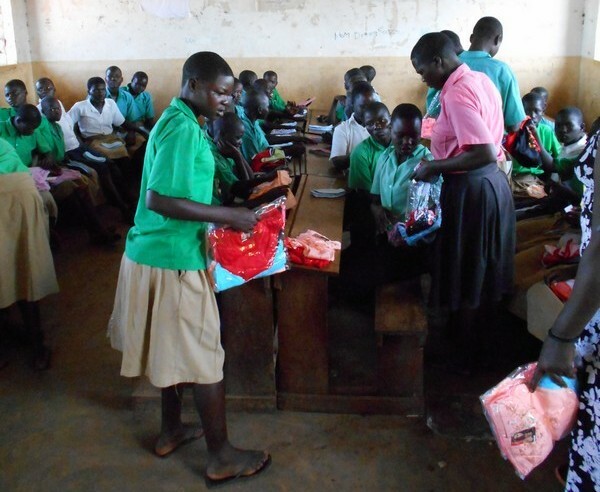 The Pads Ministry Team visits Primary Schools to teach about menstrual periods; encouraging and instructing the girls. Psalm 139:13-16 forms the basis of the talk, about how they are wonderfully and uniquely made by God and are important to Him. 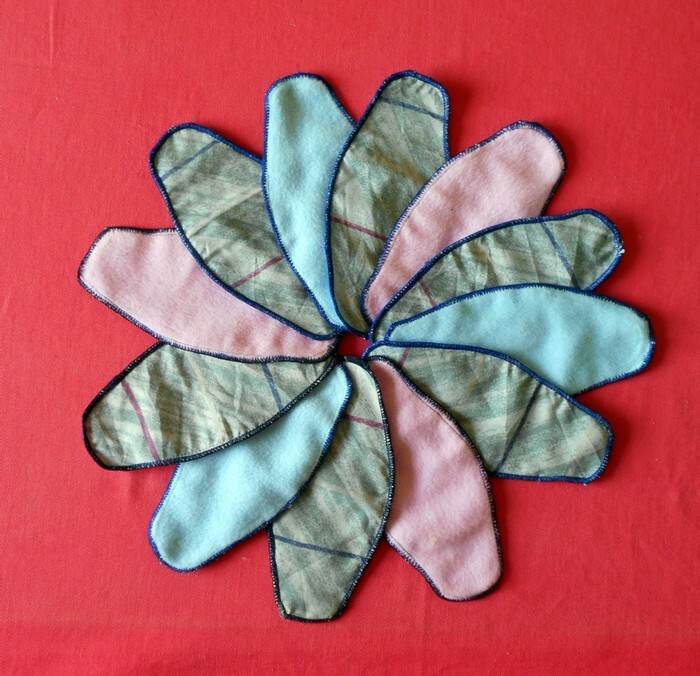 Each girl is provided with four washable pads, made by a local tailor and four pairs of knickers. 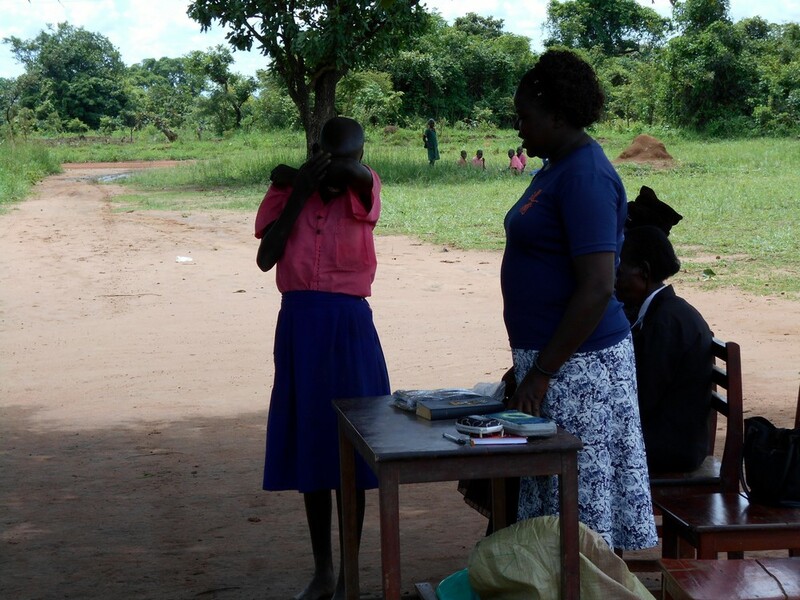 In the two school terms from April to November 2014 we are targeting 24 Primary schools within a radius of about 15km from our Pader Town base, approximately 2000 girls. In every school, we invite all the girls of 12 years and over to join our sessions and they can number from 40 to 140 depending on the size of the school. 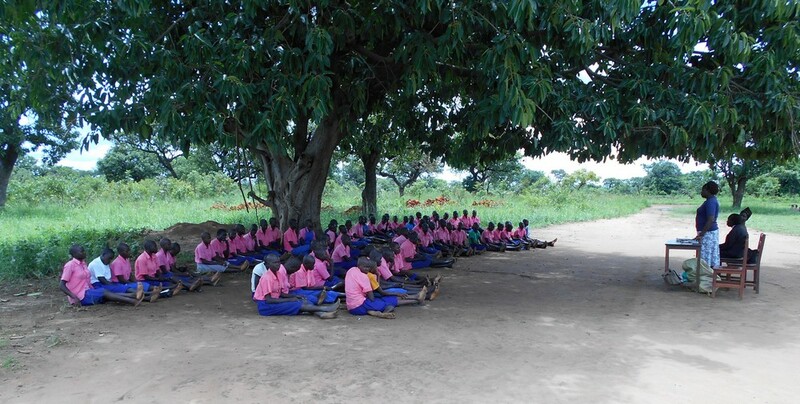 We prioritise the smaller schools away from the towns and main roads, since they are in the poorest communities. In a typical group of 60 girls, 40 will have started their periods but only around 9 are wearing underpants. Here in the UK, disposable pads and underpants are the norm, freely available and relatively affordable. 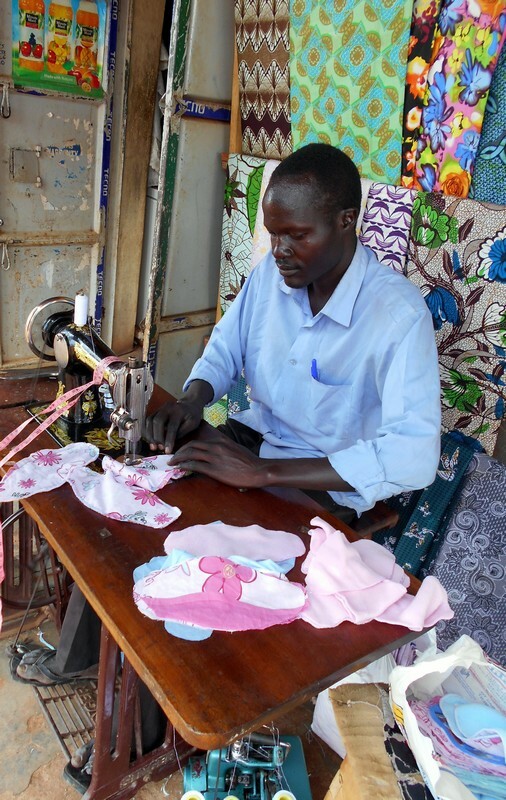 In rural Northern Uganda, most people are on a very low income and exist mainly outside the cash economy. A girl can not just ask her father for money for pads, and children simply do not have money of their own. 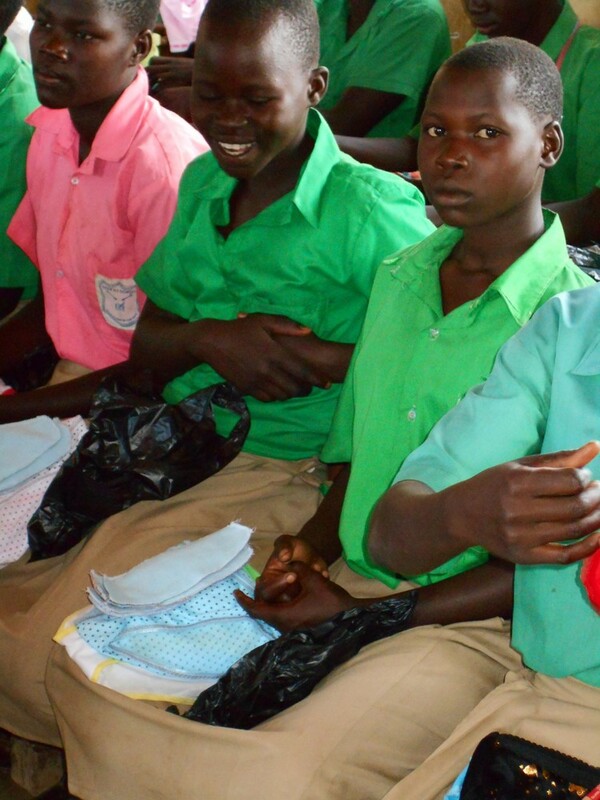 The girls manage their periods by staying home for four or five days. Unless they are unusually bright and determined, they fall behind and are seen as dim by their teachers and parents. When it comes to which children should get their school fees paid, the parents usually choose a son before a daughter for cultural reasons. If the daughter’s school report is poor, then the decision is even easier to make. The purpose of this ministry is to help the girls to stay in school and receive the education they so badly need for a better future, for themselves, their children and their community. And also to point the girls towards the God who can be trusted for the whole of life. Milly used to work only as housekeeper in Pader, but had a heart for the girls of Pader and instigated the restarting of the Pads Ministry. 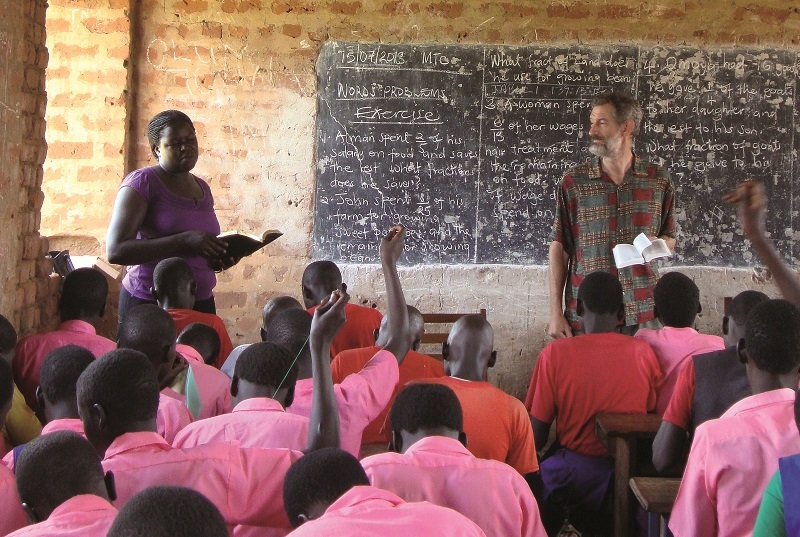 Read more about Milly in the September 2014 Prayer Calendar. Tom talks about his involvement in the Pads Ministry in his blogposts “Your’e doing what! ?” and “Pads, End of Term Report.”. You can read other updates on Tom’s blog Munu Muti and other adventures. To donate securely online to this project, click on the CharityCheckout button.